It's always enjoyable spending some time with the big man, TSN's Jermain Franklin. He recently joined me in-studio to talk Calgary Flames and look ahead to the 2017-18 season. After all, four weeks away is the start of the NHL pre-season. Hope you enjoy the off-season listen. Hockey talk doesn't stop. Not in August. Not ever. 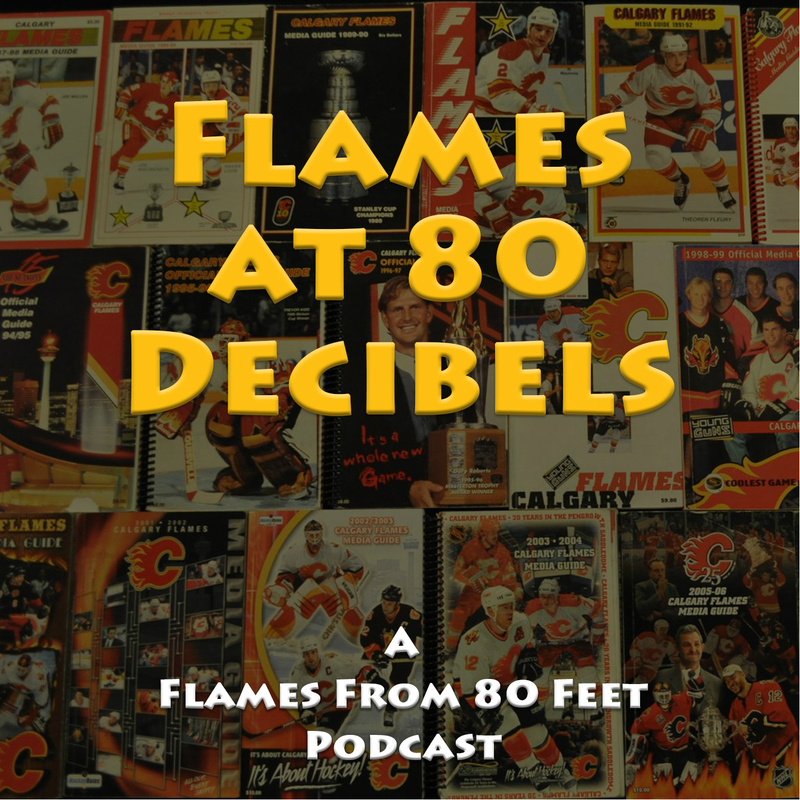 Can Calgary finish ahead of the Oilers? What if all four lines had to be different? We get out our line blender. Here are the podcasts from earlier this summer. Run them one after another as a great way to pass the time the next time you're driving from Calgary to Regina. You can only play roadkill travel bingo for so long. Have you enjoyed the podcasts so far? I would be grateful if you take a couple minutes and stop by iTunes and rate the podcast. 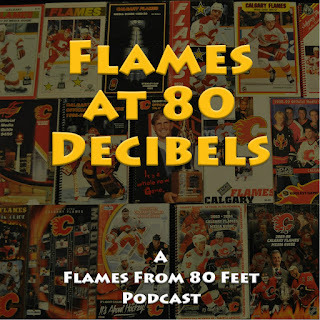 From what I've learned, the more reviews, the easier it becomes to find for hockey fans browsing for something to listen to. So far, there's been 13 reviews. I'd love to see that number doubled. "No amount of worrying can change the future." Not my words. It's an adage coined long ago. But it's true and they are words to live by if you're an impassioned Flames fan. The person responsible for all the nervous tapping of feet, biting of nails and chewing of pens is hotshot defence prospect Adam Fox. Fox was drafted in the third round of the 2016 NHL Draft. After a tremendous first year at Harvard, the 19-year-old is headed back to the Massachusetts campus for his sophomore season. 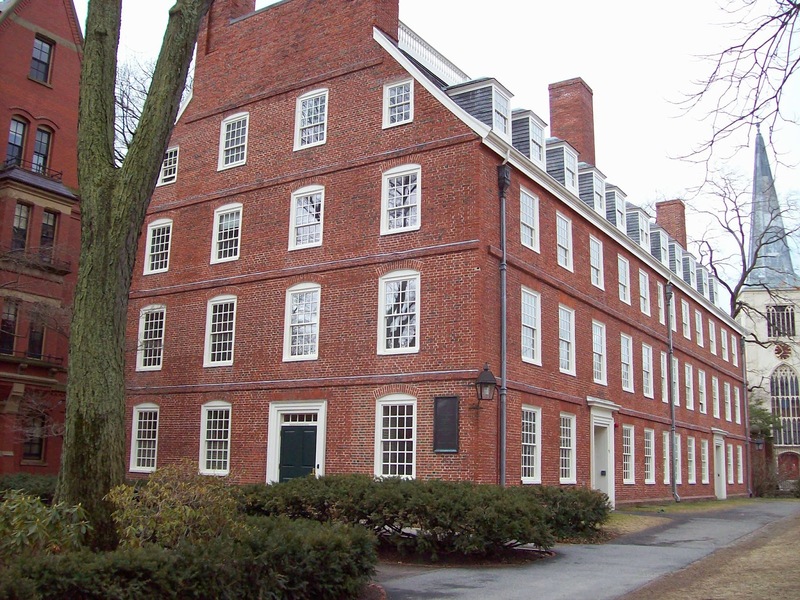 Harvard is the oldest institution of higher learning in the United States. Established in 1636, the acclaimed Ivy League school, whose alumni includes eight U.S. presidents -- and Neil Sheehy, has been around for 381 years. That's nearly four centuries! Suddenly the Saddledome doesn't seem all that old. 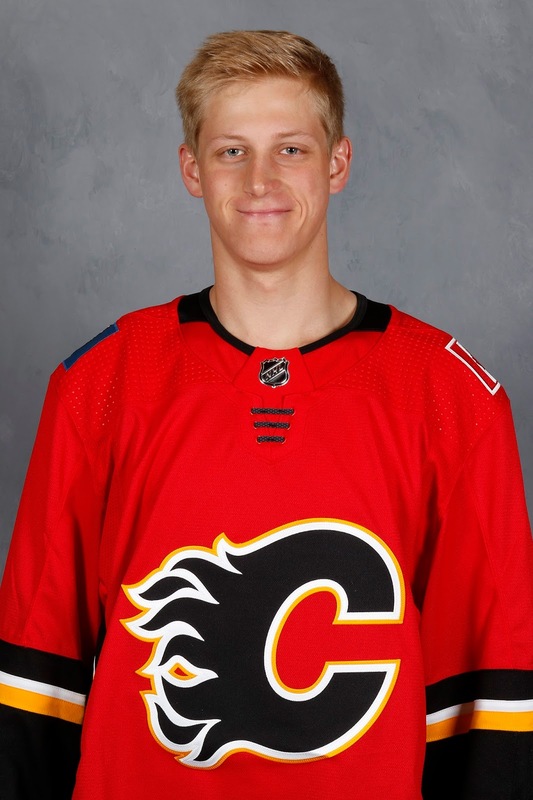 The reason for all the pent-up anxiety across the fan base is how quickly Fox has established himself as a core piece of Calgary's future. I recently ranked him as the organization's No. 4 prospect and he's climbing fast. Honestly, when you see 66th pick beside his name, it feels like a clerical error. You mean 36th? Or was it 26th? Or maybe 16th? In one's freshman season at college, players are often brought along slowly while older and more experienced players shoulder much of the ice time and responsibilities. This was not the case for Fox, who stepped right into the Crimson line-up and made an instant impact. In a stellar 2016-17, he racked up a whopping 40 points (6 goals, 34 assists) from the back end, that coming in just 35 games. Along the way, he travelled to Canada over the Christmas holidays for a successful World Junior Championships. That showcase event culminated with three assists in the gold medal game to boost Team USA to a 5-4 shootout victory over the host team. Fox put on another dazzling show last week racking up a tournament-high nine points in five games in the recent World Junior Summer Showcase. That included an awe-inspiring five-point night against Canada. The more Fox elevates his stock, the more anxious fans get. The reason for all the worrying is section 8.6 (c) of the NHL's Collective Bargaining Agreement. It states that if a college player does not sign with the team that drafted him (or owns his rights) by August 15 of the year he is scheduled to graduate, he becomes an unrestricted free agent. For Fox, that deadline is August 15, 2020. However, instead of lying restless in bed for the next 1,098 nights, which is no good for anybody, I thought I'd try to alleviate some of that angst by compiling a list of eight things to consider. As you'll see, maybe the doom and gloom isn't really warranted. For everyone whose glass is half-empty, so is their memory, it seems. Three years ago, it was Boston College scoring sensation Johnny Gaudreau, who had pessimistic Calgary fans curled up in the fetal position. 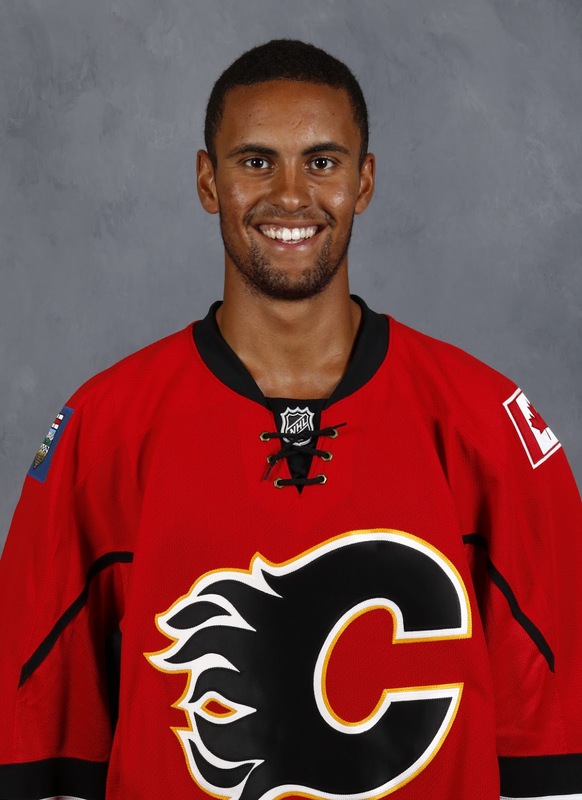 With the classic Canadian inferiority complex in full effect, why on earth would he sign with Calgary reasoned paranoid fans, when he could wait another year, become a free agent, then sign with a team on the Eastern Seaboard and play close to home. Well, much ado about nothing. 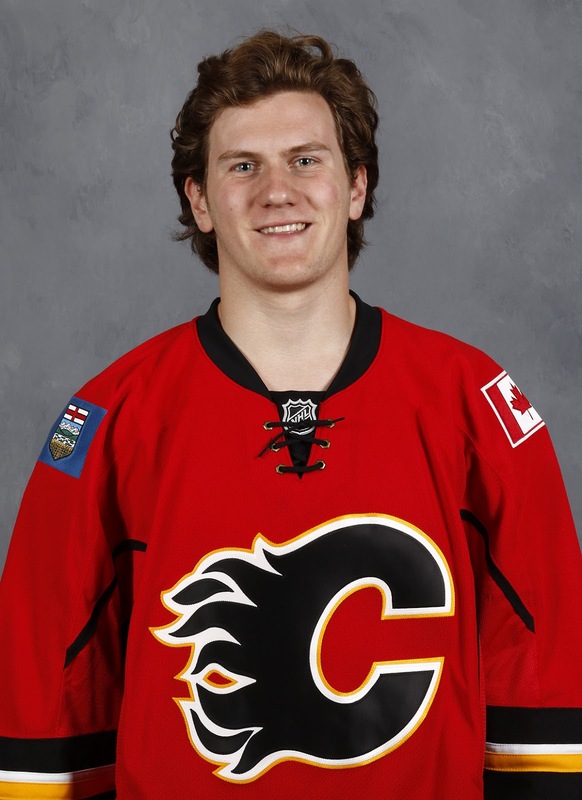 The New Jersey kid did leave school, he signed with the Flames, and the rest is history. Last summer Gaudreau signed a six-year extension. 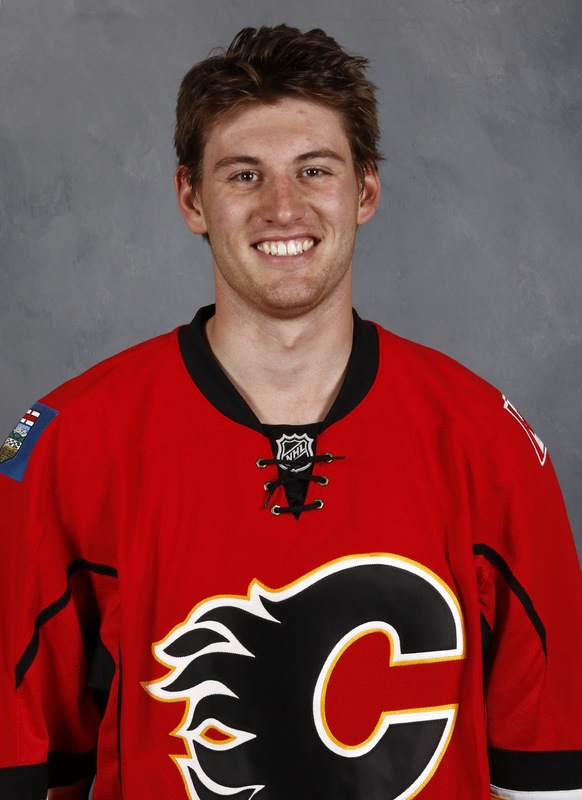 Same thing for goaltending prospect Jon Gillies. The highly-touted Maine product for Providence College. 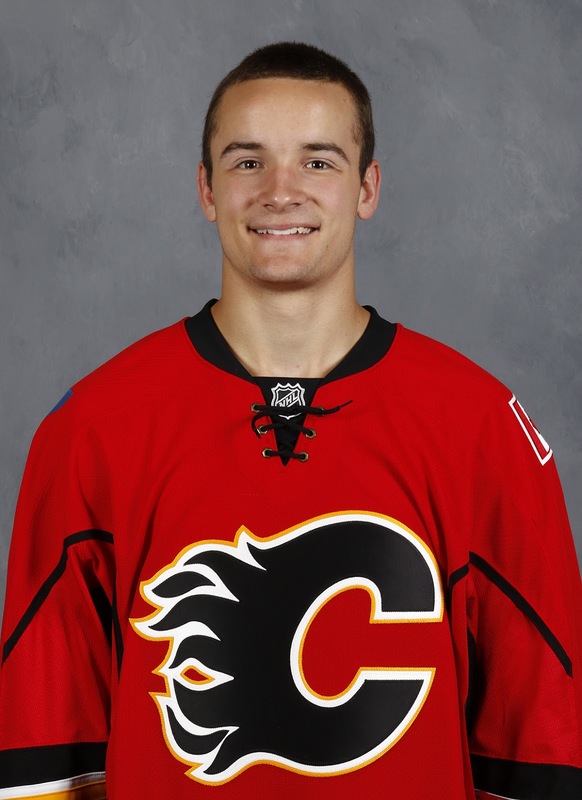 He also chose to leave school after three seasons to ink a deal with the Flames. 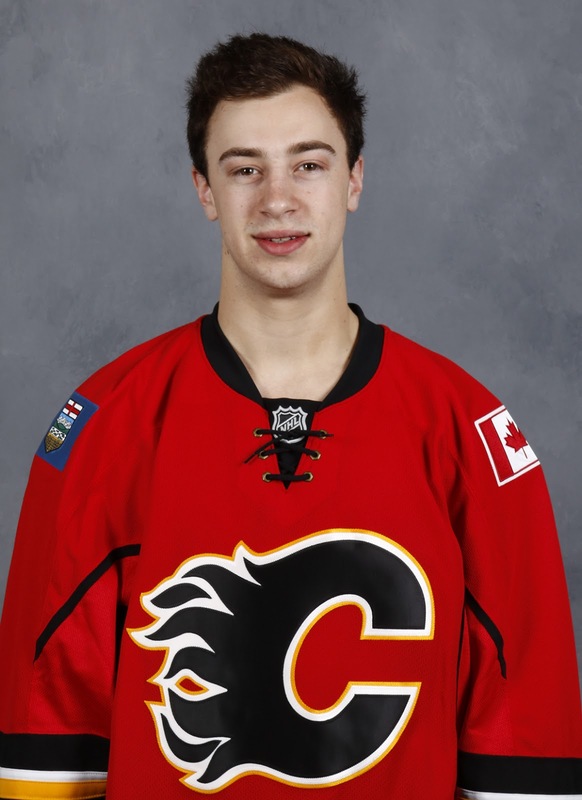 Might Gaudreau find his way out East eventually? Probably. Could this be the case for Fox too, who was born in Jericho, New York? Sure, but it need not happen right away and assuming it will play out that way is ignoring recent history with two other fellow Americans, who weren't any less hyped. Speaking of assumptions, a fourth year of school, should it play out that way for Fox, isn't exactly an automatic death sentence either. 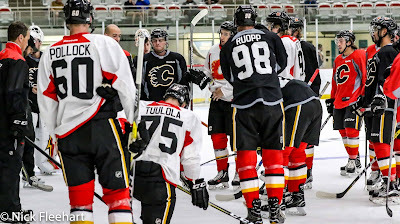 While they didn't necessarily have the same cachet as Fox has built up at this moment, there are plenty of examples of Flames prospects, who completed their four years of school and then signed with Calgary right afterwards, no problem. 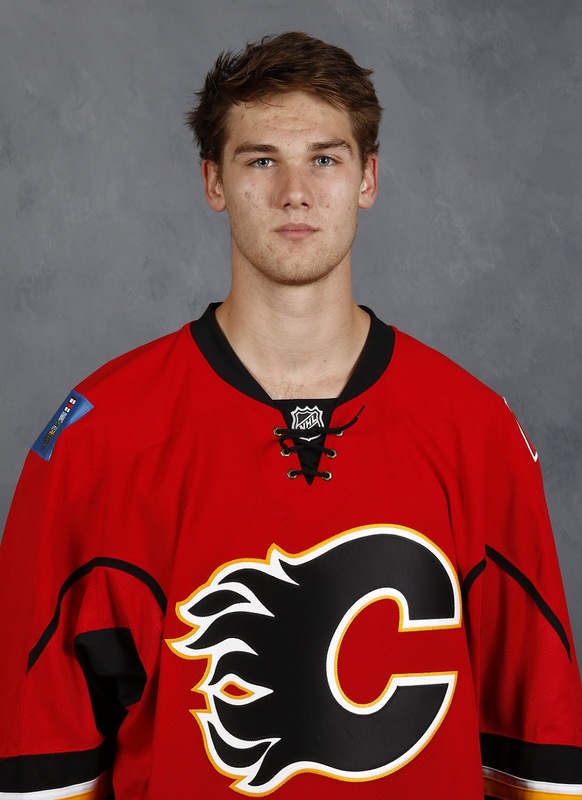 Two years ago, that was the case for 2012 first rounder Mark Jankowski, who went back to Providence College to complete his degree. This is a first round draft pick we're talking about. Yet a mere four months away from being able to sign with any team, he chose to sign with the team that drafted him. 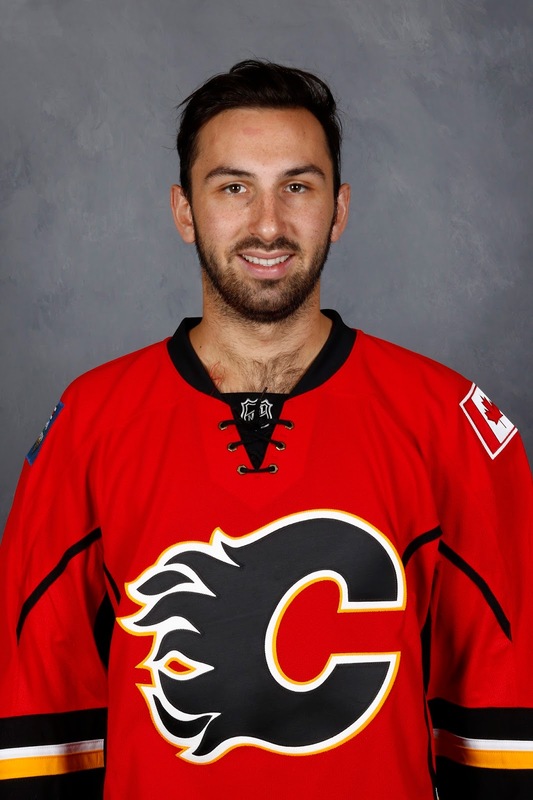 While neither is with the organization any longer, also going the full four years yet still signing with the Flames without there being much more than a sliver of doubt was Gaudreau's Boston College linemate Bill Arnold and Kenny Agostino, who at the time were both viewed as solid prospects. Notably, Agostino was also an Ivy Leaguer, graduating from Yale. The guy I would suggest is most responsible for all the nervous pacing in Calgary is Jimmy Vesey. Drafted by Nashville in 2012, Vesey is the one player and when I say one, I mean he's the only example in the history of Harvard hockey where a notable player has chosen to walk away from the NHL club that drafted him. Vesey waited until Aug. 15, 2016 and then signed a contract with the New York Rangers. Of course, stoking the fire of this conspiracy theory is Vesey was selected with the exact same pick as Fox -- third round, 66th overall. Before slipping into all-out panic mode, here are a couple of points to ponder, which puts the Vesey situation into some better context. Going back to 1995, 19 drafted players have attended Harvard and eventually moved on to sign an NHL contract. But of those 19, only two left school early. In staying until he graduated, Vesey was doing what pretty much they all do. 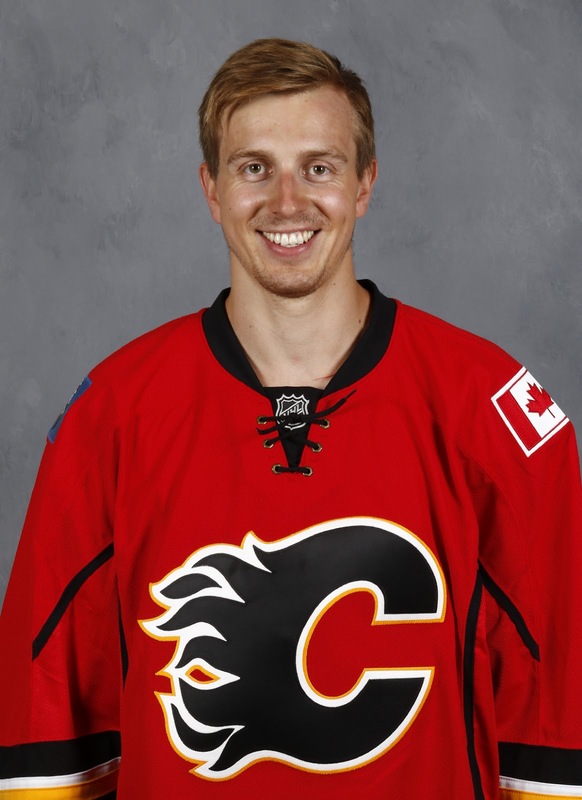 Craig MacDonald in 1997 (after two years) and Brian Hart in 2015 (after three years) are the only two exceptions. Other than that, history indicates that if you're going to Harvard, you keep going there until you've donned your mortarboard. One reason for this is if you're attending such a high-end intellectual school, you're already wired a little differently than your regular hockey player. You're not going there to play hockey, you're legitimately going there to get your education. Among the writing and economics courses Fox took in his first year was a class called "Understanding Darwinism". That's a long way from the 'rocks for jocks' geology courses athletes stereotypically take. It's not that there weren't an assortment of solid players in that group either. Of the 17 to go the full four years, nearly half were either second (3) or third rounders (5). Thinking of No. 2 in particular, maybe there's something to that in explaining why loyalty to the team that drafted them is so often the case. Again, with Vesey being the only notable exception. Of the aforementioned 17 that did not sign until after they graduated, 15 of them including Tampa Bay's Alex Killorn shunned the option to wait a few more months and become a UFA and chose to sign with the team that originally drafted them and they had that relationship with. The only other exception, besides Vesey, was Canucks draft pick Patrick McNally. But declared a draft "bust" by some in Vancouver, it sounds like the fourth round pick may not have been signed by the Canucks anyway. Instead, they flipped his rights to San Jose in exchange for a seventh round pick. 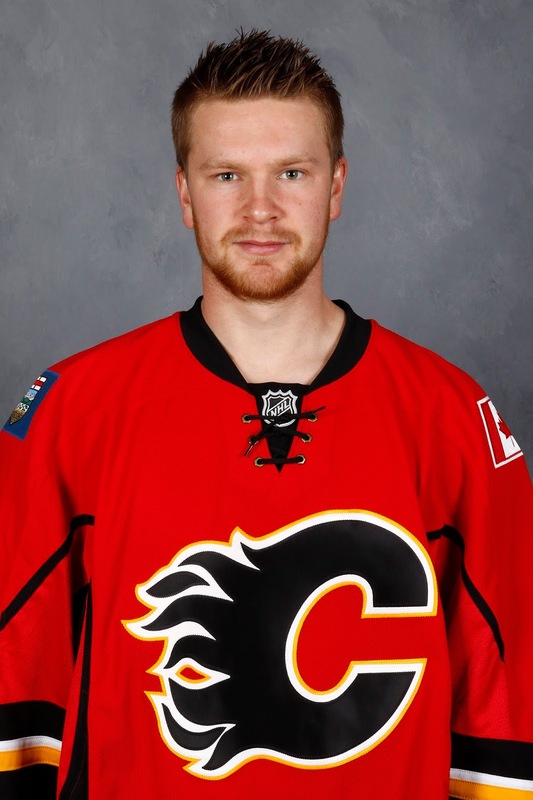 The notion that Fox won't sign with the Flames because they have too many defencemen ahead of him is overlooking the fact that this won't be the case in the summer of 2020. The contracts for TJ Brodie, Travis Hamonic and Michael Stone -- the latter two being right-hand shots like Fox -- all expire on July 1 of that summer. Now it's possible one or two of them may be extended before then but that's not for certain. It's far too early to tell, nor can one speculate with any certainty which players out of that bunch might be extended. That's where Fox's presence and how he continues to develop could wield some influence on that. 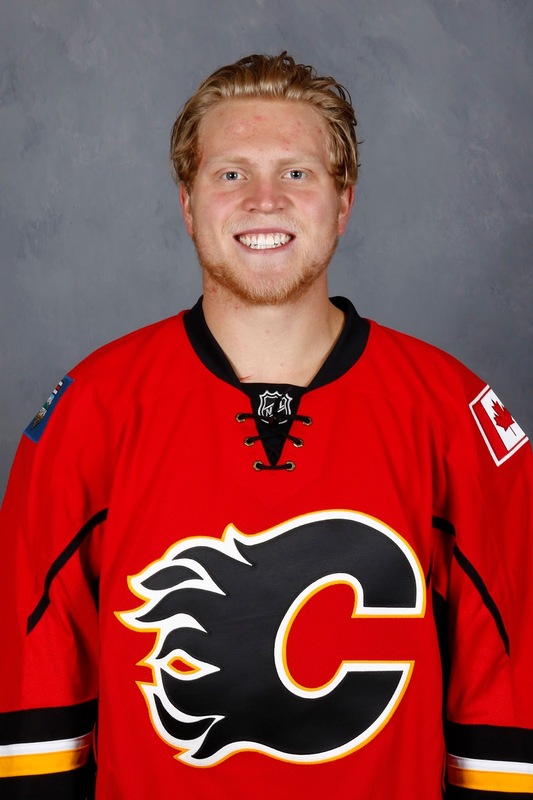 Putting those three to the side for a moment, that leaves right-shooting Dougie Hamilton and Rasmus Andersson as the top candidates to play the right side and at that point, Hamilton would only be one year away from free agency. Make no mistake, there is plenty of space for Fox to forge his way into the top-four conversation should his development continue on the upwards trajectory he's currently on. 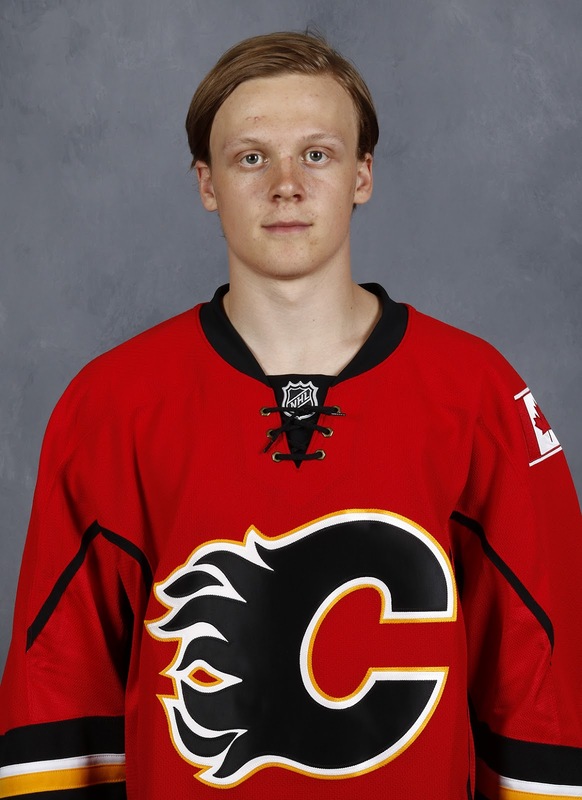 The other thing to keep in mind is in his eyes, he may not even view Andersson -- only one year older -- as someone in his way. If you're Fox and you're scorekeeping how many bodies are on defence, the only thing that concerns you are how many bodies to you have to beat out to climb up the depth chart. He may very well see himself as ahead of Andersson. By my next prospect update, I may be thinking the same thing. Heck, the team might already be thinking that. An understated connection a prospect has to an organization is the relationship built up over the years with the scout that originally tracked them. This connection will go back to before the player was drafted and sometimes long before. 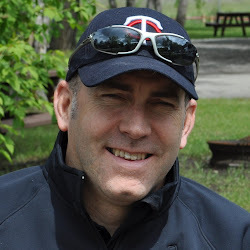 In Fox's situation, Jim Cummins is the Flames scout that has been on Fox and keeping an eye on him from when he first joined the U.S. national team development program in 2014-15 at the young age of 16. Much like the attention universities shower you with when they're trying to recruit you, it's been three years now in which Cummins has been watching Fox's games, talking with him and close monitoring his development. When you're age 16, 17, 18, those are impressionable years and that attention can mean a lot. By the time Fox reaches the summer where he could depart as a free agent, he will have known Cummins for six years. From Cummins to a guy like development coach Ray Edwards, who works closely with Fox now that he is a member of the organization, relationship-building is a priority of the Flames. That care and attention, that showing of genuine interest, the consistent promoting of the team's culture and what they're all about, these are factors that can contribute to a player's desire to stay with an organization. Case in point, last month at development camp both Spencer Foo and Josh Healey lauded Calgary for how they treated them while they were still free agents in college. 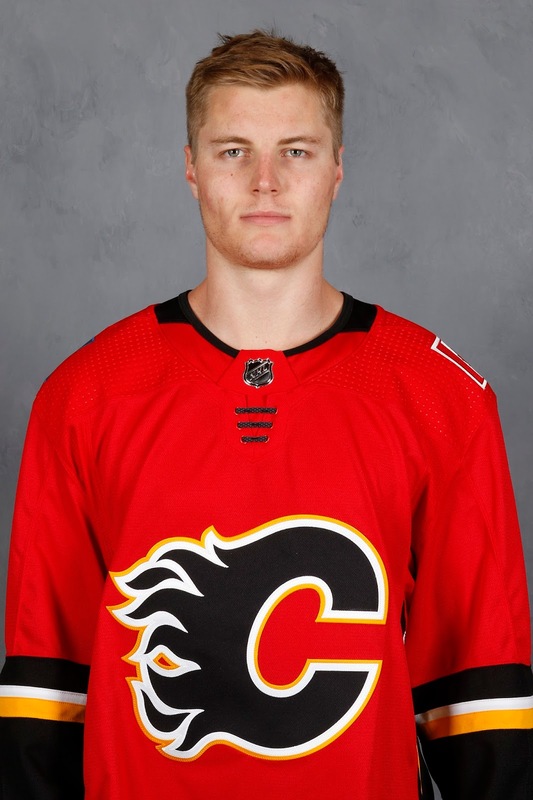 Inviting them to development camp in 2016, it's this courting done beforehand and impression the team made that both noted was one of the factors considered when ultimately choosing to sign with the Flames. Meanwhile, don't forget Fox's other relationships. 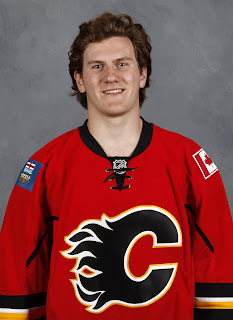 His connection with Matthew Tkachuk from their days together with the U.S. national team, and with Tyler Parsons too, his fellow 2016 draftee and teammate on the 2017 U.S. World Junior gold medal-winning team. The reason they say breaking up is hard to do is because it's true. 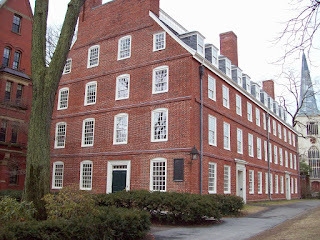 Harvard's 210 acre campus is located in Cambridge, Massachusetts, a town of around 130,000 people just outside of Boston. I've never been there, but it sure sounds like a terrific place to visit, never mind live. Thanks to its top 10 scores in active life options (3rd), live music (6th) and nightlife (6th), it was the runaway choice for No. 1 in this ranking of of America's most exciting suburbs. Cambridge also ranked in the top 10 for lowest percentage of fast food restaurants, which isn't an insignificant detail when you're a hockey player and needing to eat right. Now contrast that with Stockton, California, population 300,000, and home to Calgary's American Hockey League affiliate. Never the subject of much flattery, Stockton has been a fixture for nearly a decade in Forbes Magazine's annual listing of the most miserable U.S. cities to live in. Ranked No. 1 as recently as 2015, it finally slipped out of the top 10 (falling to 11th) in 2016. But don't crack the champagne just yet, it remains in the top 10 of the FBI's most dangerous cities, ranking 9th in 2017. For Fox, the longer he stays in college and the more playing experience he accrues, he's reducing the time (if any) he'll need to spend in the AHL after turning pro. You don't have to be an Ivy Leaguer to figure out that more Cambridge and less Stockton is a pretty alluring formula. One of the main reasons an athlete in any sport will choose free agency is to get paid more. The more bidders, the richer the deal that you can sign. However, this isn't the case for players like Fox that are new to the NHL as they're all subject to the entry-level system and with that comes a cap on annual average salary, AHL salary and bonuses. Offer Fox the maximum salary allowed and there's no reason they wouldn't and Calgary cannot get outbid. It's as simple as that. Further, the Flames are the only team in a position to offer Fox even more in the big picture in the form of burning the first year off his ELC. 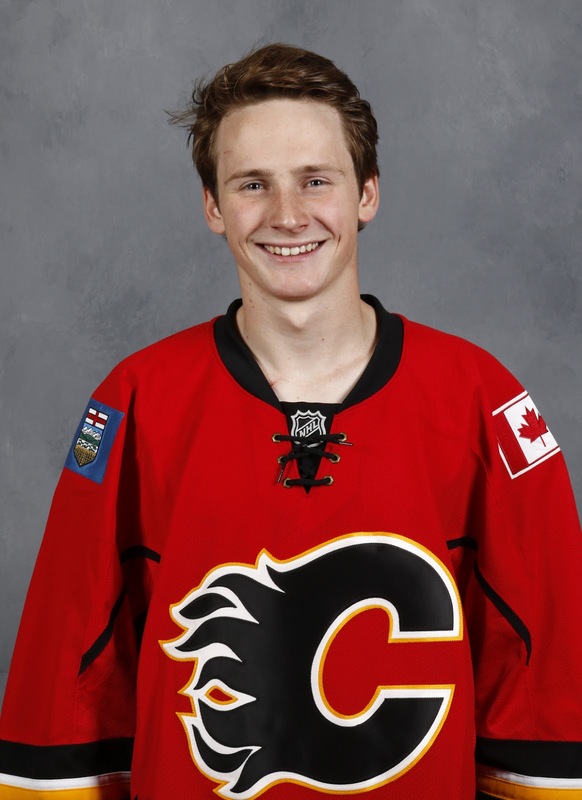 As an example, let's say Fox does choose to turn pro with Calgary. 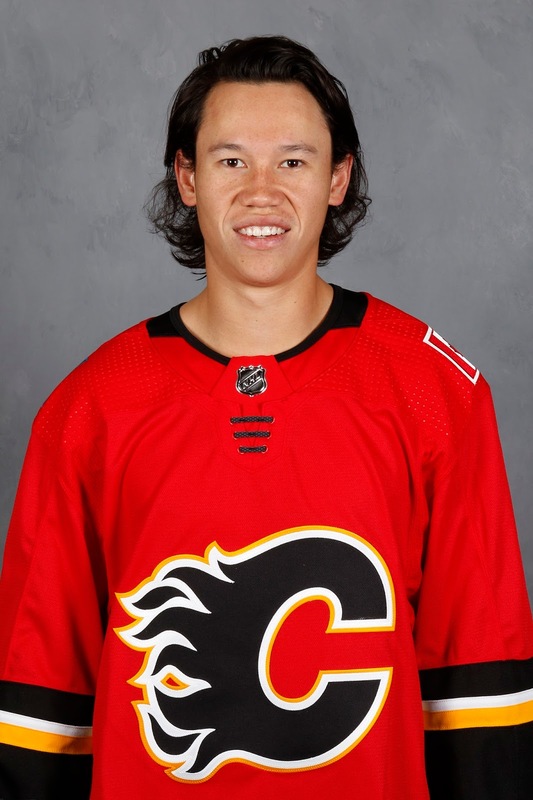 Regardless of when that is, by signing immediately with Calgary upon the completion of his college season and squeezing in at least one NHL game that same year, you do what Gaudreau did and burn that first year off his entry-level contract. For Gaudreau, that meant he made a salary of $6.75 million last season instead of still being on his ELC and earning $925,000. That's a pretty hefty difference. If Fox was to wait until Aug. 15, 2020, to become a free agent, he'll be on his ELC for one year longer than what the Flames could offer. Another factor that can influence where a player chooses to sign is their desire to play for a winning organization that is a legitimate Stanley Cup contender. Rewinding to March 2016 when Vesey announced that he would not be signing with Nashville, the Predators were not exactly a playoff juggernaut. At that point in time, the last three seasons comprised of a first-round exit and two non-playoff appearances. In fact, in the franchise's 16 years of existence, only twice had they made it out of the first round and they had never made it past round two. While it's too soon to know what Calgary's situation will look like when that time comes, the next three years and beyond certainly have the potential to be good ones. We know Gaudreau thinks so from his comments a few weeks back. 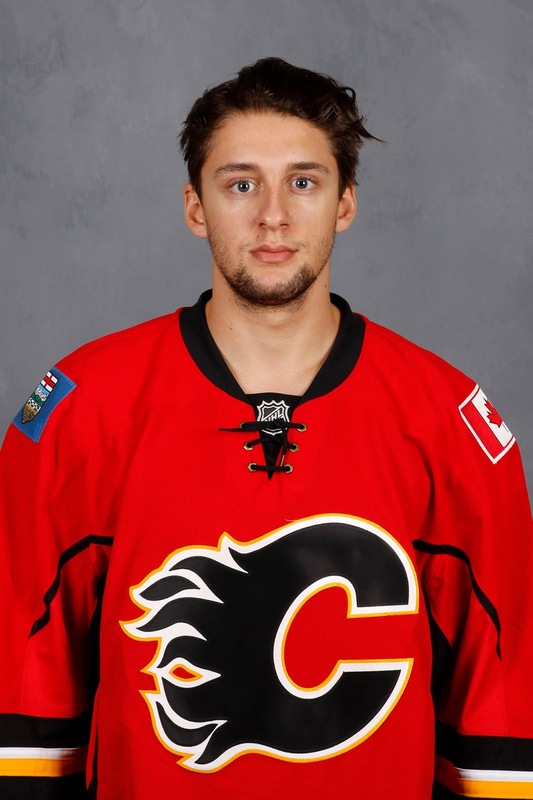 Should they turn themselves into a legit Stanley Cup threat, perhaps with Parsons -- then age 23 -- primed to be the team's starter, it could make Calgary a pretty attractive situation to remain a part of. 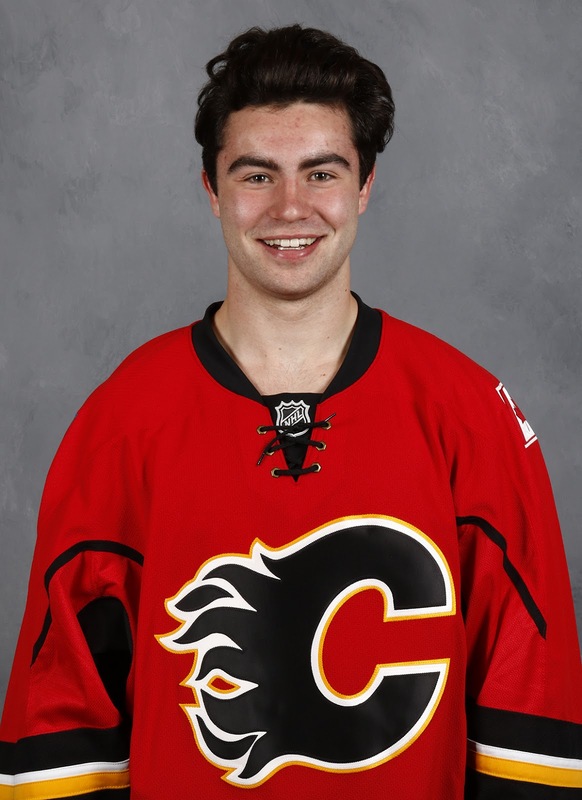 You may not be aware that Fox is not the first high-profile Harvard defenceman Calgary has had in its system -- and no, I'm not referring to Sheehy, who was not drafted by the team. In 1985, general manager Cliff Fletcher selected Chris Biotti 17th overall. Playing high school hockey at the time, Biotti attended Harvard that fall. The similarities do not end there. Biotti, a Massachusetts native, was also a big part of the U.S. World Junior team playing three times in the WJC. That included one trip to the podium, a bronze medal finish in 1986. In what could be a sign of things to come, although I'm skeptical Fox will leave school that early, Biotti left the Crimson after two seasons to turn pro and sign with the Flames. However, in what the club hopes isn't a sign of what's to come, Biotti never made it to the NHL. After three seasons of playing in the minors, he signed in Italy. By age 26, he was retired. Looking to the future, there are a couple things to keep in mind. 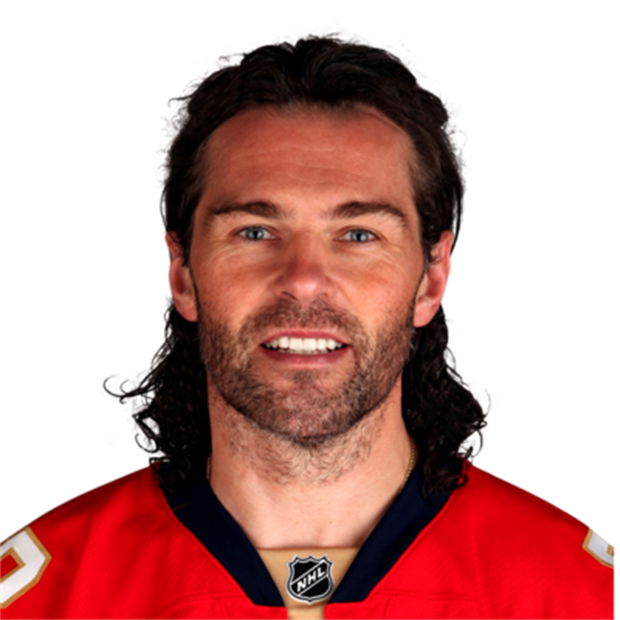 If Fox chooses not to sign with Calgary, I'd at least expect him to notify the team well in advance of that as a courtesy. 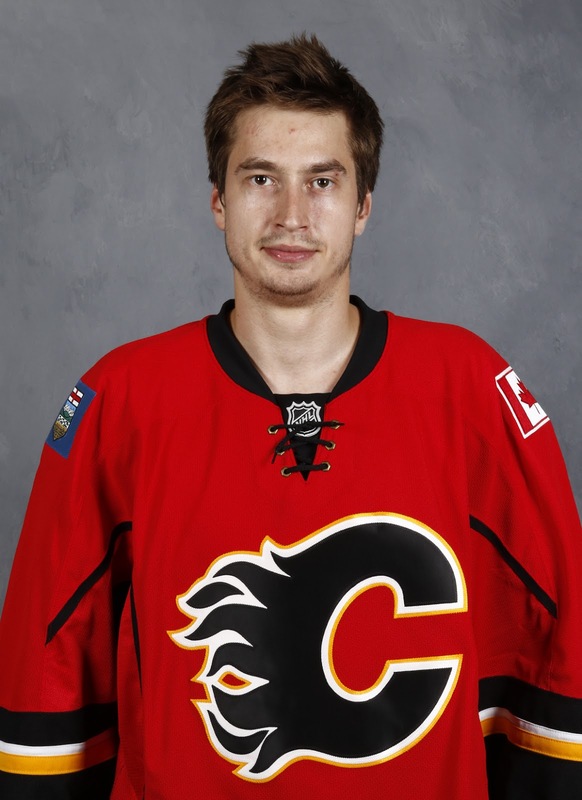 That will give the Flames ample time to trade his rights and at minimum, recoup a draft pick. In June 2016, Vesey fetched a third round pick from Buffalo, who took a chance but did not land him. 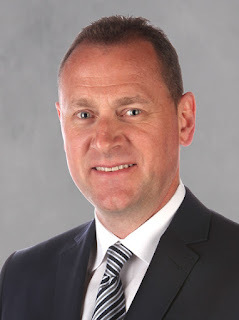 With a player as talented as Fox and 30 other GMs who would love a defenceman of his skill set, general manager Brad Treliving will be able to find a taker willing to trade a decent pick to get themselves an exclusive negotiating window. Also, if three years from now, Fox is choosing to sign with another team to get himself a better opportunity (which would typically be th reason since there can't be a bidding war), that bodes well for what the state of Calgary's blueline will have become by the summer of 2020. That probably means two of Juuso Valimaki, Andersson and Oliver Kylington have panned out. 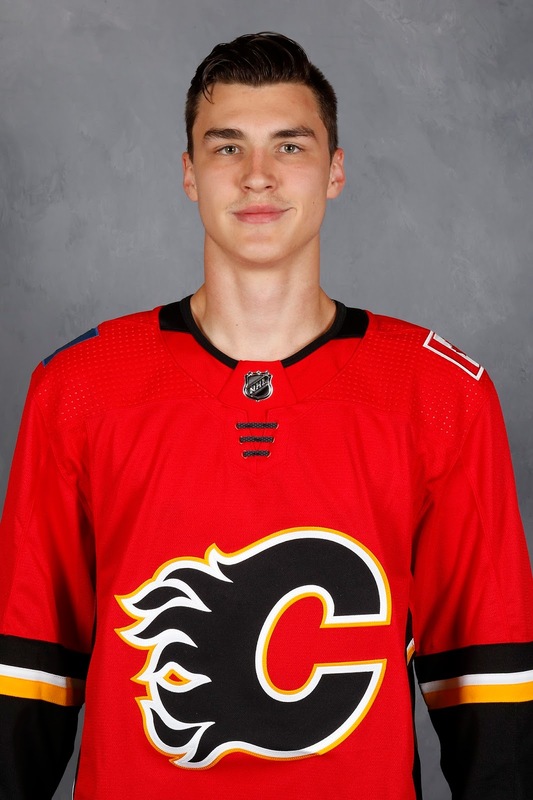 Either way, nothing but good can come out of the better Fox plays -- whether it's when he signs with the Flames, which I still believe will be the ultimate outcome, or in terms of how high of a draft pick they can fetch if they are forced to deal his rights. Either way, sleep well and don't worry about it. At least not for a couple years. 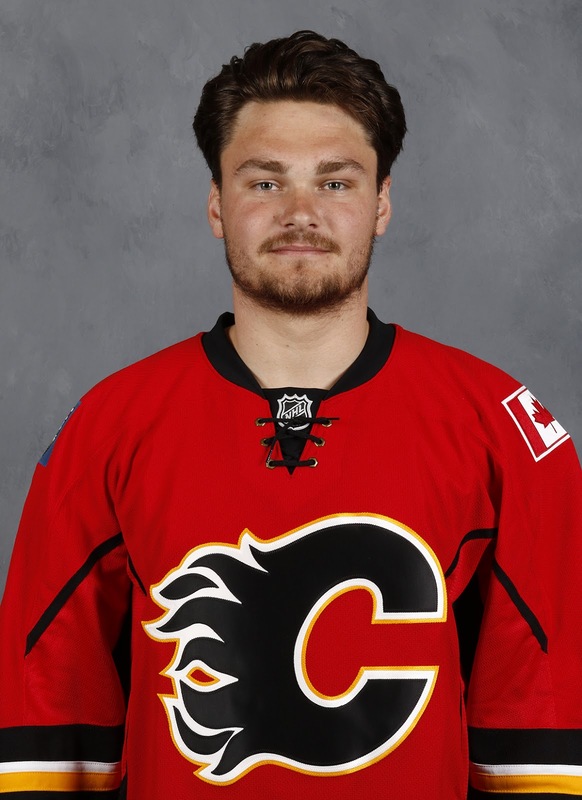 One of my favourite exercises that I do twice a year is compiling a list of the Flames top 20 prospects -- with a handful of honourable mentions sprinkled in. While the list is available here for you to skim through, I high recommend this podcast as NHL.com's Aaron Vickers joined me and we spent an August afternoon outdoors (prior to the World Junior Summer Showcase, I'll point out), methodically working our way backwards through the list. Curious about why players are ranked where they are? There's lot of additional detail to be had here. 0:00 - Introduction - Background, definition of prospects, etc.